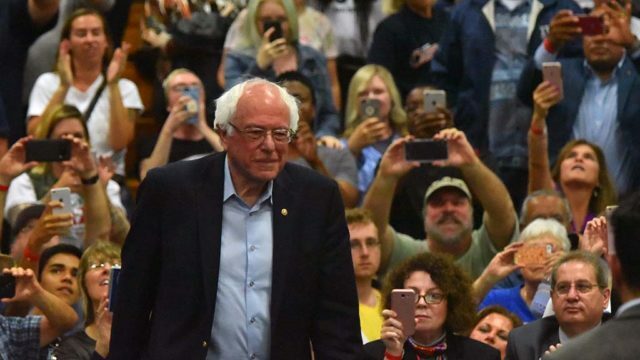 Sen. Bernie Sanders, a candidate for the Democratic presidential nomination, will hold a rally in San Diego Friday for the first time since launching his 2020 campaign. The campaign stop is part of a West Coast swing by the Vermont independent that also includes rallies in Los Angeles and San Francisco. He has also made stops in early primary and caucus states like Iowa and New Hampshire since announcing his candidacy last month. Sanders last campaigned in California in October to stump for local candidates like Rep. Mike Levin in the lead-up to the November mid-term election. When he ran for the Democratic nomination in 2016, he held rallies in National City and Vista that each drew several thousand people. Sanders, 77, is considered one of the front runners in a field for the Democratic nomination that could eventually include as many as two dozen candidates. California Sen. Kamala Harris, Massachusetts Sen. Elizabeth Warren, New York Sen. Kirsten Gillibrand and former Texas Rep. Beto O’Rourke are among the more than 15 candidates to enter the race to date. Sanders plans to hold his rally at Waterfront Park at 1600 Pacific Highway starting at 5:30 p.m. Tickets are not required, but attendees are encouraged to RSVP at the event page on Sanders’ campaign website.